It is harder to understand spoken English than written English. Even though it is difficult, listening to spoken English is a hugely important activity as it has many advantages over reading. It teaches to understand the speech, it shows pronunciation of words, it teaches connected speech etc. Improving your English communication is just like how you take on your fitness program, where you need intense focus and positive mind-set to stay fit and get the physique you want. Learning to speak English fluently can’t be done in a day. It takes time and requires regular practice. To become a fluent English speaker, one must study and master reading, listening, and speaking. Listening, as we know, is the skill of understanding spoken language. Listening is an essential skill, present in most of the activities we carry out throughout our lives. 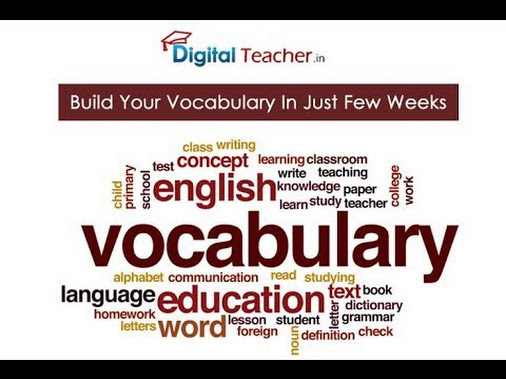 Acquiring an extensive vocabulary is also one of the largest challenges in learning spoken English. While learning English, it is very important that you are on the right diet and your diet here is to learn some (at least 2-3) new words every day to improve English vocabulary and use those words in regular conversation. If there is no one to talk in English, one can write one’s own conversation/thoughts by using those words or can also record one’s own voice to check if pronunciation of the word is done correctly. An extensive vocabulary aids expression and communication. Preparing basic level Grammar, Choosing a topic, speaking about it and rectifying the mistakes made is a very good practice for improving communication. Most of the non-native speakers translate native language into English. It is very important to start thinking in English instead of translating the things. At beginning it may be difficult, but gradually it gets habituated. Tongue twisters are also a perfect way to improve diction and help learn how to speak quickly. Here is a saying on which one can start practising: “The thirty-three thieves thought that they thrilled the throne throughout Thursday”. It may look funny, but by practising a few minutes a day in front of the mirror one will learn when and how to use different expressions. One will also learn where you make most of the mistakes. There are also many courses available online for learning English through which anyone can access these online classes at home. These courses focus on teaching students the basics of the English language, including the alphabet, vocabulary, syntax, grammar, sentence structure, and phonemic awareness. An emphasis is placed on students learning to read, write, and converse in English. Students work on their pronunciation and conversational skills as they participate in class discussions, collaborative projects, tests, and final exams. So, improving Spoken English is not at all a difficult task, especially after online classes at home came into picture. All one needs is just a passion to learn and a continuous effort.